When you think of the term “hybrid,” odds are, an image of a Toyota Prius might pop into your mind. That’s because the Prius serves as the frontrunner of the hybrid craze, and continues to be a top choice for drivers in Avon, Indianapolis, and Plainfield. 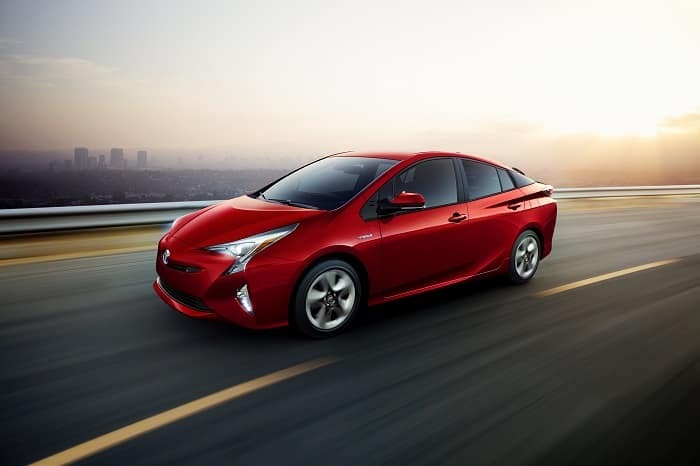 To give you the full scoop on all things Prius, our team at Andy Mohr Toyota has put together this 2018 Toyota Prius review, so you can find out all the information you need to decide if this is the right ride for you. Two electric motors give the Prius the power it needs to get you to your destinations efficiently. With a standard 4-cylinder engine, you’ll achieve 121 horsepower, along with a standard continuously variable transmission to make switching gears even smoother. As for its driving capability, feel free to take the Prius along the scenic route to your next destination. With its athletic drive, you’ll be whipping around corners and backing into tight parking spots with ease. 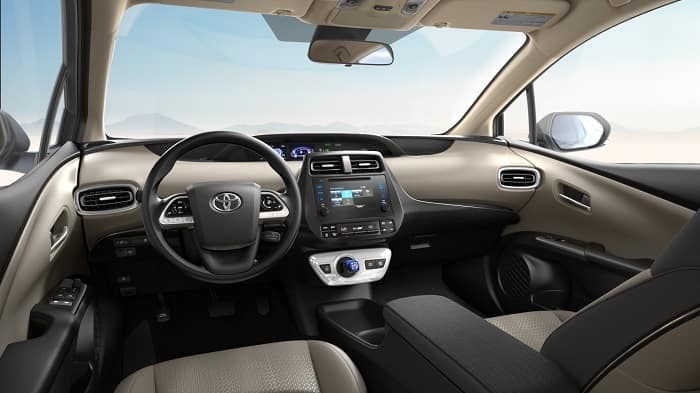 When you step into the cabin of the 2018 Toyota Prius, you’ll find yourself surrounded by high-quality, soft-touch materials that create a modern, sleek design you’ll want to show off. And with great design comes comfort. 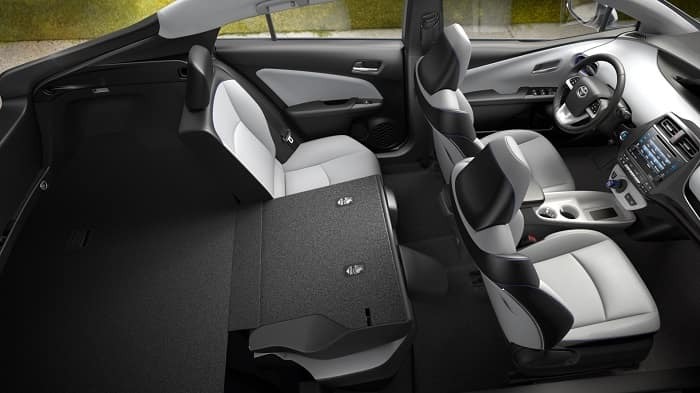 You’ll find plenty of space inside the Prius, including 33.4 inches of legroom, not to mention the massive 24.6 cubic feet of trunk space to hold those extra luggage bags on the way to your next vacation. When it comes to the latest technology, the Prius doesn’t fail to impress. With a standard 6.1-inch touchscreen infotainment system, you’ll always be connected while on the go, whether it’s via Bluetooth® accessibility, a USB port, or Siri® Eyes Free. The most important features to consider when deciding on your next hybrid are what will keep you and your passengers safe. Luckily, the Toyota Prius has you covered from front to back. Plus, you can add on some additional features, such as a Blind Spot Monitor, Rear Cross-Traffic Alert, front and rear parking sensors, and even rain-sensing windshield wipers and a head-up display. If you’re in the Avon, Indianapolis, or Plainfield area, and like what you’re reading about the 2018 Toyota Prius, then stop by Andy Mohr Toyota to take one for a test drive today! 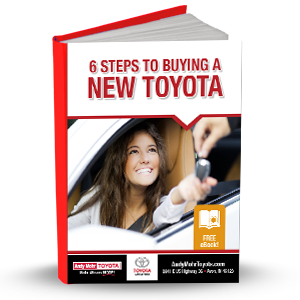 Or, contact us at any time to ask about any of our Toyota models, and about our quick and simple car buying process. 2. 2018 EPA-estimated 58 city/53 highway/56 combined MPG for Prius Two Eco. Actual mileage will vary.